One of the main requirements for achieving fusion is to heat the plasma particles to very high temperatures. In ITER, several heating methods will work concurrently to bring the plasma in the core of the machine to 150 million °C. Within the tokamak, the changing magnetic fields that are used to control the plasma produce a heating effect. The magnetic fields create a high-intensity electrical current through induction, and as this current travels through the plasma, electrons and ions become energized and collide. Collisions create "resistance" that results in heat, but paradoxically as the temperature of the plasma rises, this resistance—and therefore the heating effect—decreases. Heat transferred through high-intensity current, known as ohmic heating, is limited to a defined level. In order to obtain still higher temperatures and reach the threshold where fusion can occur, heating methods must be applied from outside of the tokamak. Using injection to heat the fuel in the ITER Tokamak is very much like using steam in the household cappuccino machine to heat milk. Neutral beam injectors like the one picture are used to shoot uncharged high-energy particles into the plasma where, by way of collision, they transfer their energy to the plasma particles. 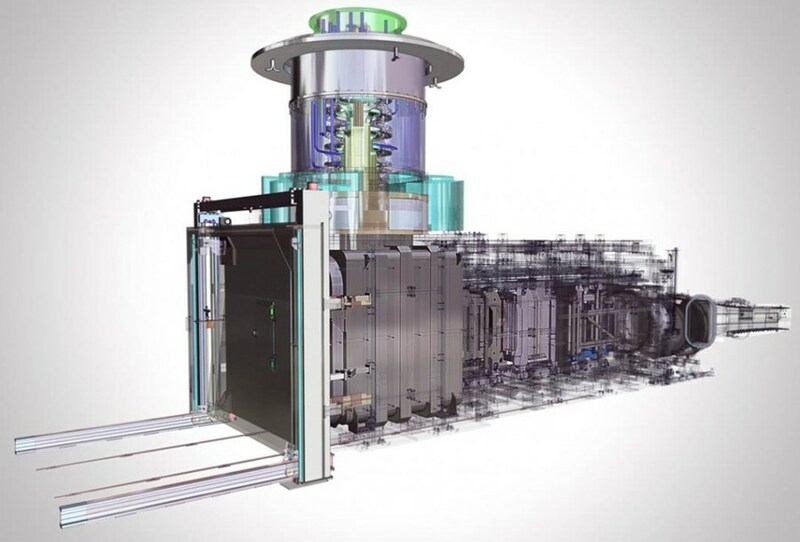 Two families of external heating methods—neutral beam injection and high-frequency electromagnetic waves—will complement ohmic heating to bring the ITER plasma to temperature. Neutral beam injection consists in shooting high energy particles into the plasma. Outside of the tokamak, charged deuterium particles are accelerated to the required energy level. These accelerated ions then pass through an "ion beam neutralizer" where their electrical charge is removed. The high velocity neutral particles can then be injected into the heart of the plasma where, by way of rapid collision, they transfer their energy to the plasma particles. 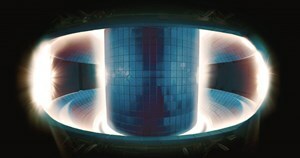 Millions of watts of heating power can be delivered to the plasma using this technique, bringing its temperature closer to the level where fusion can occur. A third source of heat—high frequency electromagnetic waves—is planned into the design of the ITER Tokamak to boost temperatures to the required 150 million °C. In the same way that microwaves transfer heat to food in a microwave oven, the energy carried by high-frequency waves introduced into the plasma is transferred to the charged particles, increasing the velocity of their chaotic motion, and at the same time their temperature. Following this principle three types of waves will be employed in ITER, each matching a frequency of plasma ions and electrons in the interior of the ITER machine to maximize heat transfer. Ohmic heating, neutral beam injection and high-frequency waves will work together in the ITER tokamak to bring the plasma to a temperature where fusion can occur. Ultimately, researchers hope to achieve a "burning plasma"—one in which the energy of the helium nuclei produced by the fusion reaction is enough to maintain the temperature of the plasma. The external heating methods can then be strongly reduced or switched off altogether. A burning plasma in which at least 50 percent of the energy to drive the fusion reaction is generated internally is an essential step to reaching the goal of fusion power generation. A development program is underway now for ITER neutral beam injection. Read more about the program here.